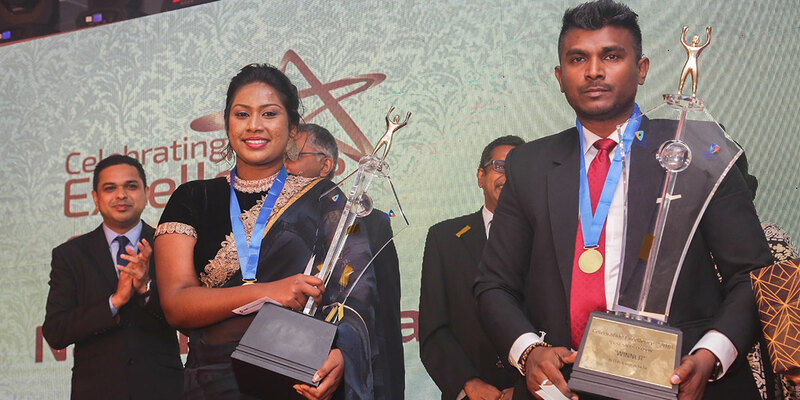 HNB General Insurance Limited (HNBGI), the fully owned subsidiary of HNB Assurance PLC (HNBA) held its 4th Annual Sales Convention recently at the Kingsbury, Colombo. The event was graced by the presence of Mrs. Rose Cooray, Chairperson of the HNBA Group as Chief Guest together with the Members of the Board of both HNBA and HNBGI and the senior management of the two companies. Sharing her views at the 4th Sales Convention, Mrs. Cooray stated “we are gathered here today to applaud the efforts, dedication and commitment of our top agents and to honor their achievements during the past year. The general insurance industry of Sri Lanka is a highly competitive industry and is often threatened by adverse economic conditions and natural catastrophes. The efforts and dedication of our sales teams have helped in establishing the brand in the market within a short span of time and I’m extremely pleased on the results showcased during the previous year”. Addressing the gathering, Managing Director/CEO of HNBA and HNBGI Mr. Deepthi Lokuarachchi “the agency force of HNBGI consists of outstanding and competent sales professionals across the country and within a short span of time we have been successful in strengthening our footprint in the general insurance market. Our other units such as Broker teams and Takaful teams too have done exceptionally well and together have been able to put on a great performance which we are celebrating today in this very beautiful manner”. Chief Business Officer of HNBGI Mr. Jude Benjamin thanked all sales teams for their constant and tireless efforts to strengthen the ‘HNBGI’ brand name in the market stating “our rapid growth is a result of the steady performance of our agents and sales teams and the emergence as an innovative general insurance provider”. The Best Sales Person of Corporate Lines was awarded to Mr. Prabath Silva and the Best Sales Person of Personal Lines was awarded to Ms. Nimeshi Dishala Happuarachchi.